As promised, I wanted to share some of my favorite handmade gifts for Father's Day. As I mentioned yesterday, my daughter loves making handmade gifts. 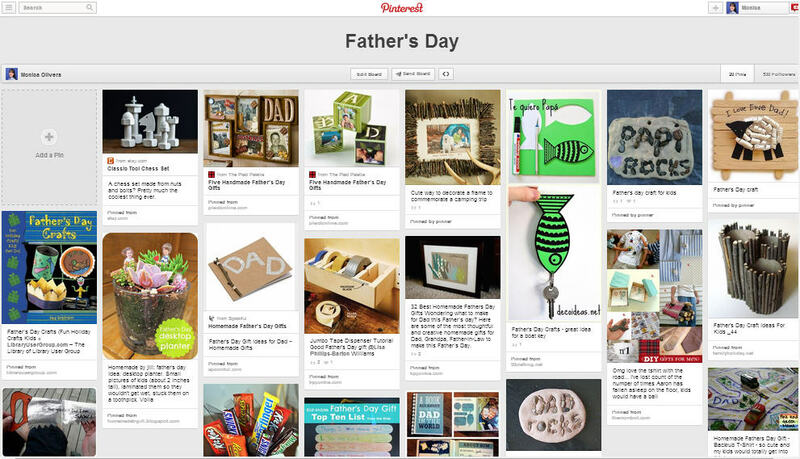 So to help her with ideas each year, I created a Father's Day Pinterest board with various ideas to inspire her. A shadowbox with images and items that reflect dad's personality, likes, hobbies, work, and more.